The venerable shopping plaza in Palm Beach launches a new complement of retail on Nov. 1. After two years of redevelopment and leasing, efforts, The Royal Poinciana Plaza is now 95 percent leased and prepared to launch a full complement of retail, food establishments and amenities on Nov. 1. “\We have only two small spaces left. One should be leased out shortly, and the other we are saving, for the world’s best ice cream. 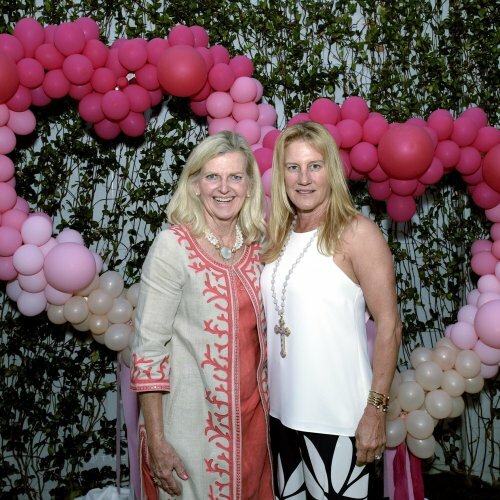 shop we’ve yet to find ,” said Samantha David, chief operating officer of WS Development, which effectively owns The Royal Poinciana Plaza with a 99-year lease. Tl1e Chestnut Hill, Mass.-based WS Development develops, owns. operates and leases urban buildings and lifestyle. community and mixed-use centers. In an exclusive interview Wednesday, David discussed 12 new tenants that recently signed on to The Royal Poinciana. a landmarked. 60-year-old. 180,000-square-foot, open-air setting in Palm Bead1, Fla .• designed by world-renowned architect John Volk. The group includes a few internationally known labels such as Saint Laurent, Cynthia Rowley and Theory. 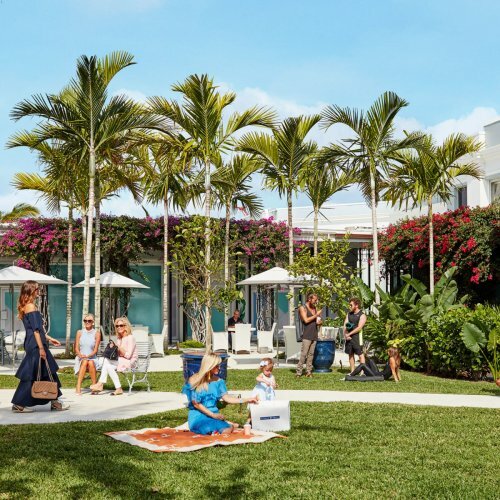 But mostly, It encompasses businesses unfamiliar to the affluent Palm Beach crowd or the general public for that matter, which adhere to David’s vision of re-creating The Royal Poinciana Plaza with a heightened sense of discovery without diminishing its venerable European character. Its five-block stretch has lush gardens, terrazzo marble floors. intricate metal details and stonework. produce and honey, cut flowers, cold-pressed juices and smoothies. •Collective, a gift shop concept offering a range from $20,000 bracelets to flip -flops for a few dollars, with locations in hotels and resorts around the world, each customized to suit the locale. home goods by makers around the world. • Vespa, the stylish Italian motor scooter company. the Palm Beach Grill were already operating on the property. square feet. Hermes is an exception with 8,000 square feet over two levels.